Hello all! Can you believe that it's almost time for Santa to come?!? Lots of bits and pieces layered up with the Starlight paper. 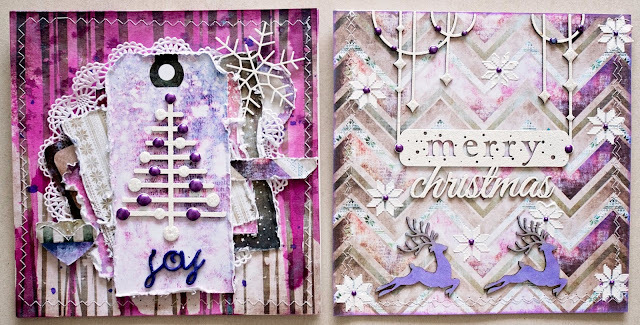 And some more of that gorgeous 2Crafty christmas chipboard pieces! I hope you like these cards! They will be going to someone special for christmas. I have used the new Paintchips Collection, that you should be able to get your hands on here in Australia very soon! I love the bright fun colours of this collection, yet it still has that element of grunge that I love so much! I have used the 'Underpaper'as my base. I have then splattered away. I have also used the 'Clear Stamps' set on my base. I have layered up papers from the '6 x 6 Paper Pad' and pieces from the 'Nightshade' and 'Razzleberry' papers. 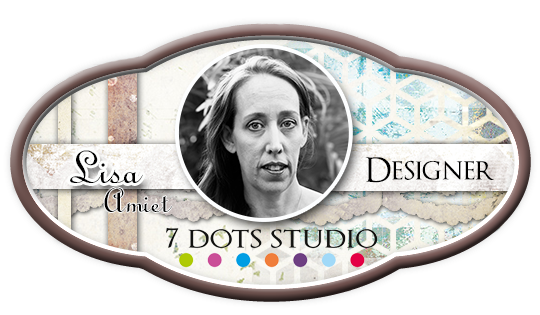 Lastly I have used some of the '6 x 12 Die Cut Elements', '6 x 12 Word Stickers' and one of the Um Wow Studio Flair Buttons. 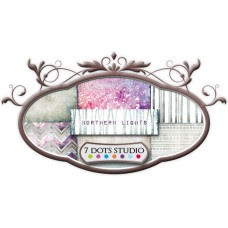 I have used the gorgeous new Northern Lights Collection by 7 Dots Studio. For the first card I have used modelling paste to stencil the snowflakes on. I have then used the "Dangling Christmas Sign", that I have embossed in white. I have then used Nuvo Drops & Stickles to highlight the baubles on the sign. I have then used two of the "Mini Reindeers", which I have inked purple to match my papers. I have then used silver to highlight their enters, tails and feet. For this card I have used one of the gorgeous "Mini Bauble Trees", I have again used Nuvo Drops and Stickles to highlight the baubles. Hello all! 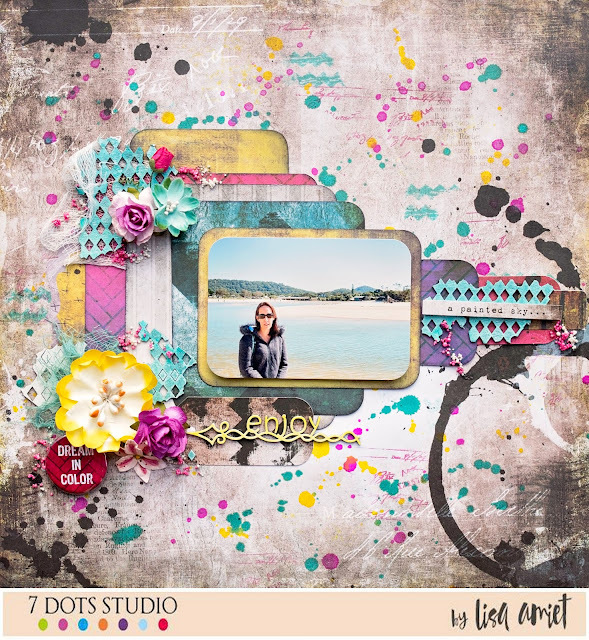 I'm here today to share a project I have created for 2Crafty Chipboard. I picked up some decorations from Kmart in a colour scheme I liked and set to work sticking with my glue gun. 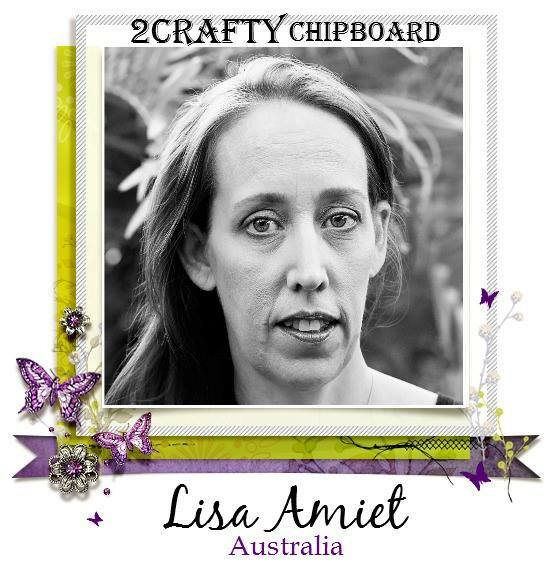 I wanted the 2Crafty Chipboard pieces to stand out so I left them until last. I have then used a couple of the "Starbright Snowflakes", that I have embossed in white. I used my hot glue gun to glue them into place on top of the baubles. 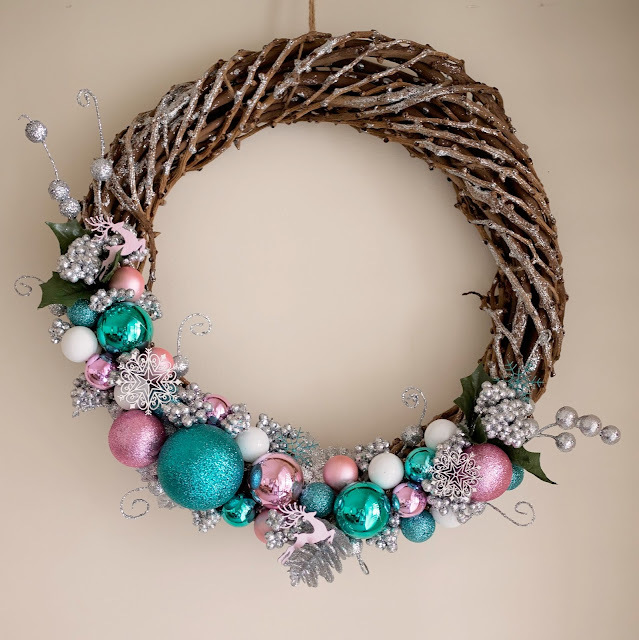 I have then used some of the "Linear Snowflakes", that I have embossed in a teal to match the baubles I had stuck to the wreath. I love the bright and lively colours in this collection! I can't wait to see your take on the sketch! Don't forget you have a chance to win a $30 voucher to spend in store. 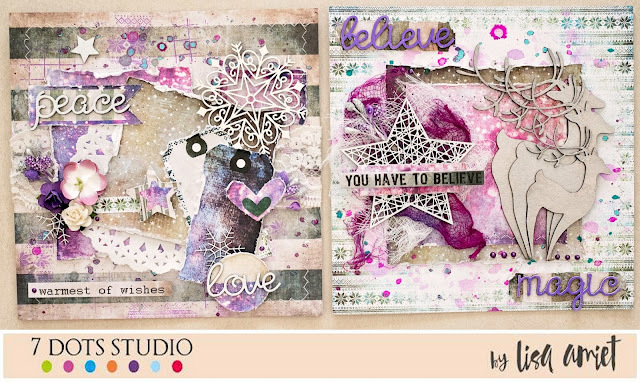 This month was ever so exciting as I was lucky enough to receive the two new ranges, designed by the fabulous DeeDee Catron! 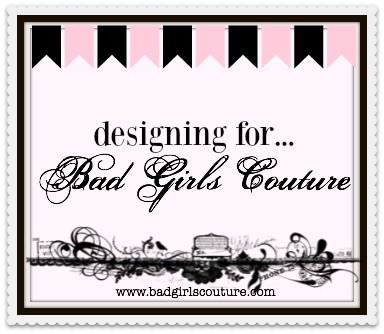 This layout even features me! I loved the purples in this collection, even though I'm not normally drawn to purple. These tones mixed with the pinks are stunning! So I have used the "12 x 12 Stone Cottage" paper as my base. I have then used the "12 x 12 Starlight" paper to die cut my moroccan screen, shapes and foliage. I have used the "Clear Stamps" and "Pixelated Snowflake Stencil" on my base.